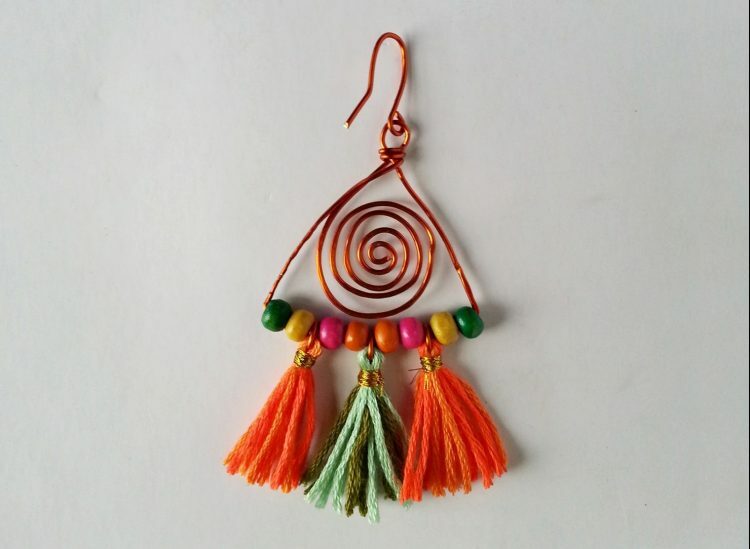 Do you want to learn how to make your own handmade Hippie Bohemian style jewelry? 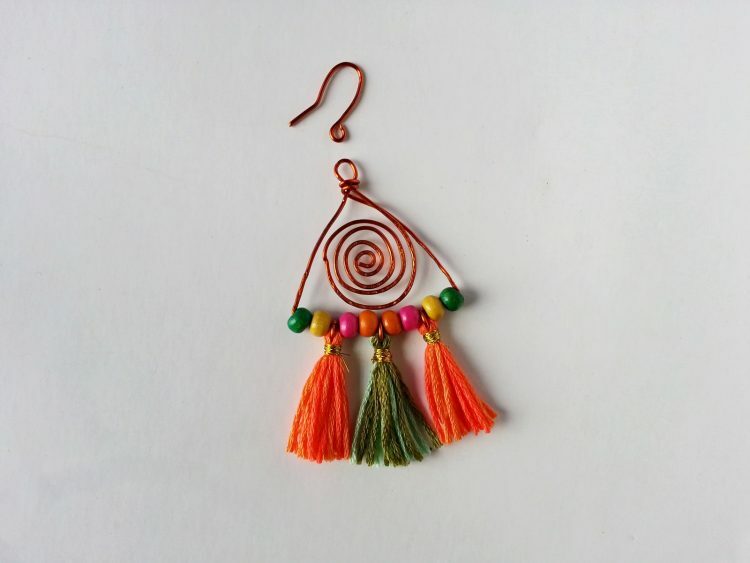 Our DIY Colorful Boho Earrings with copper wire and tassels is a fun and easy project. 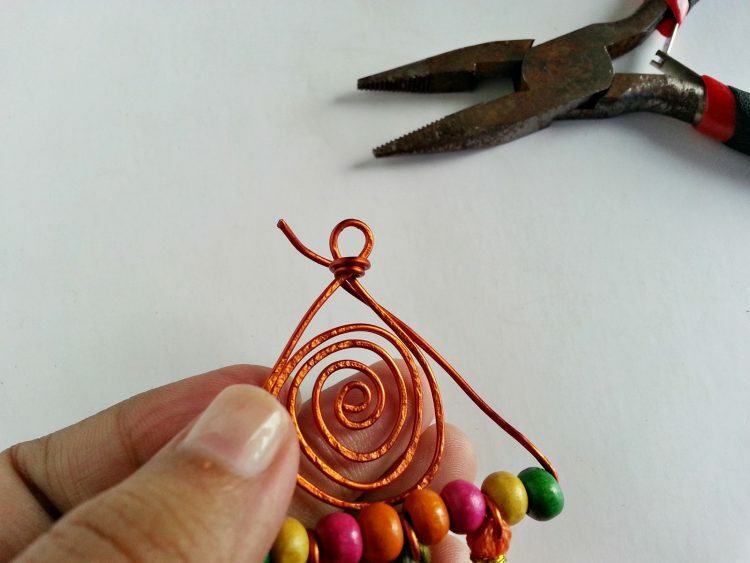 Making handmade jewelry can be a wonderful hobby for moms. It’s a creative outlet that results in something that’s beautiful and useful. Before I had kids, I was getting into jewelry making. I made lots of bracelets and necklaces and a few pairs of earrings. It was fun, but my babies came first. Now that they’re older and much more independent, I can get back some me time. 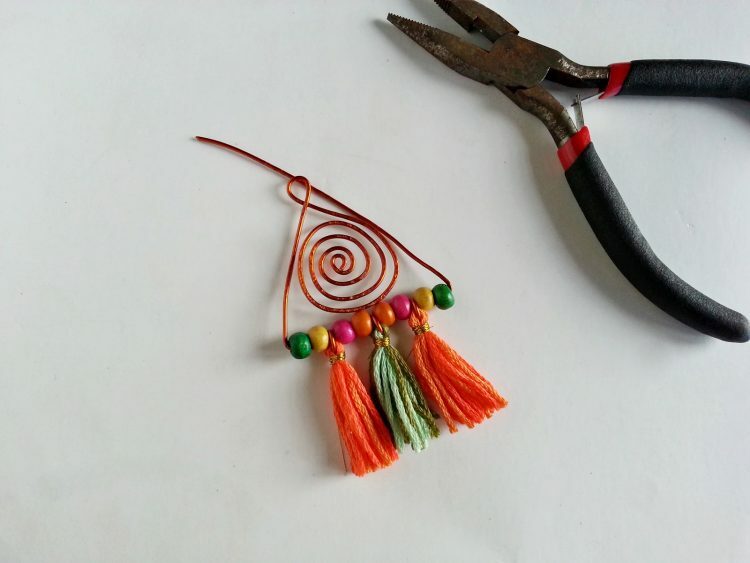 I thought it might be fun to start making jewelry again, so I wanted to share this tutorial for making a pair of colorful Boho Earrings. 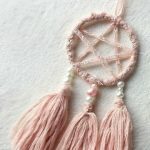 I included lots of process pictures so you can see just how easy it is to make your own Bohemian style jewelry for a fraction of the price you’d pay in stores. Let me know how yours turn out in the comments! 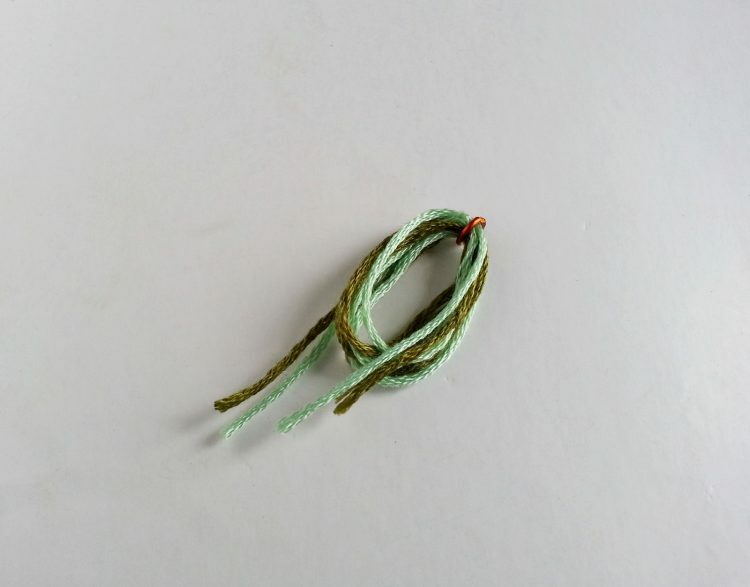 Choose 2 different colored embroidery floss and cut them into 12 inches. Hold both of the strands together. 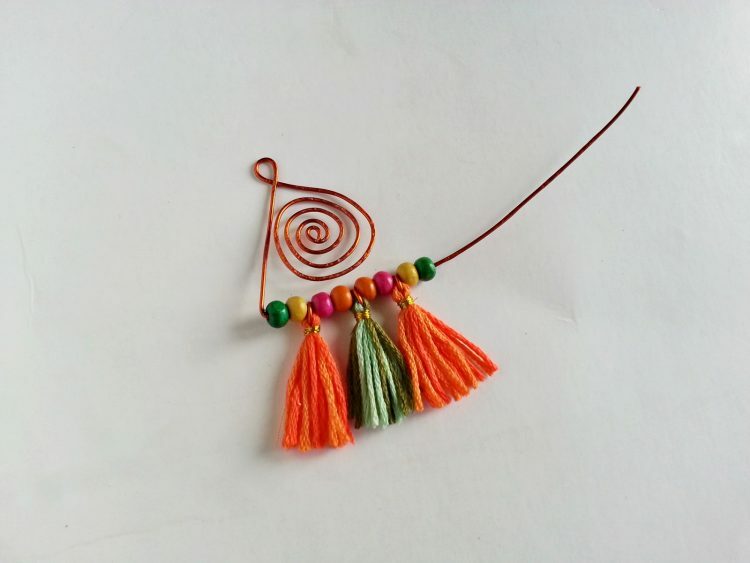 You can either use your fingers or a piece of cardstock paper to create the tassel. 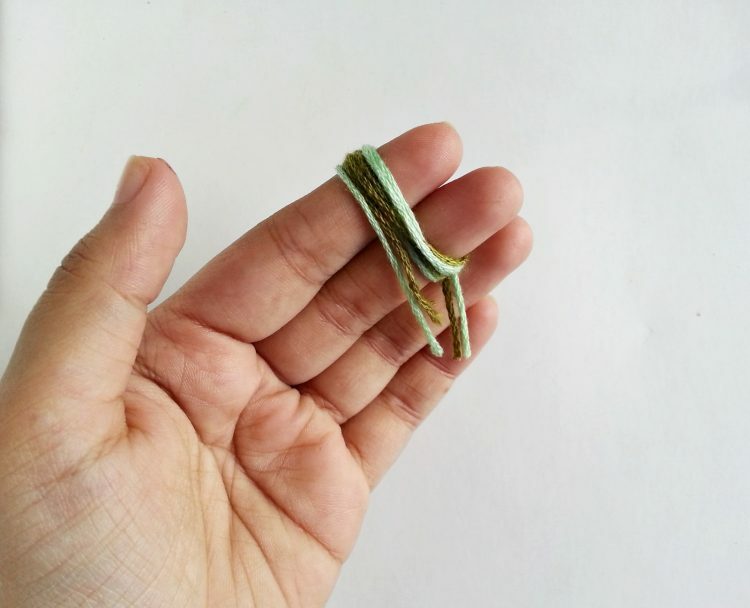 Wrap the strands around any 2 fingers or a 1.5 inch cardstock paper until the strands end. 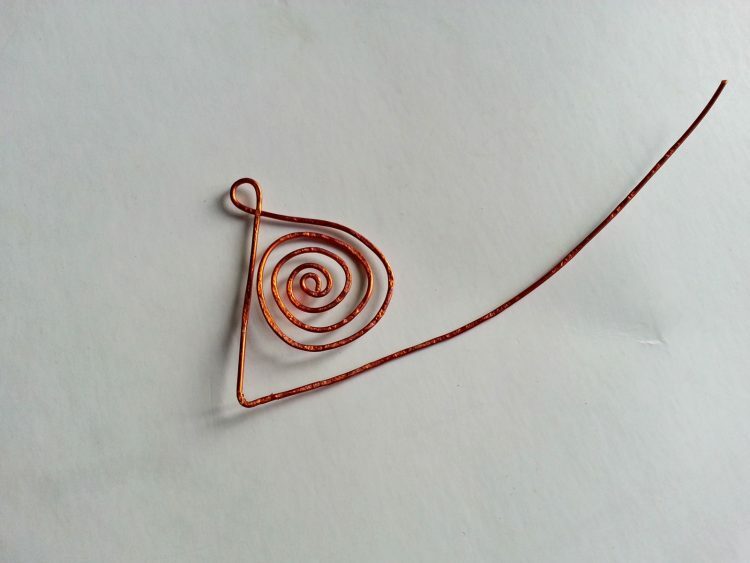 Carefully take out the wrapped strands from fingers or cardstock paper and attach a jump ring on the center of the closed end loop. 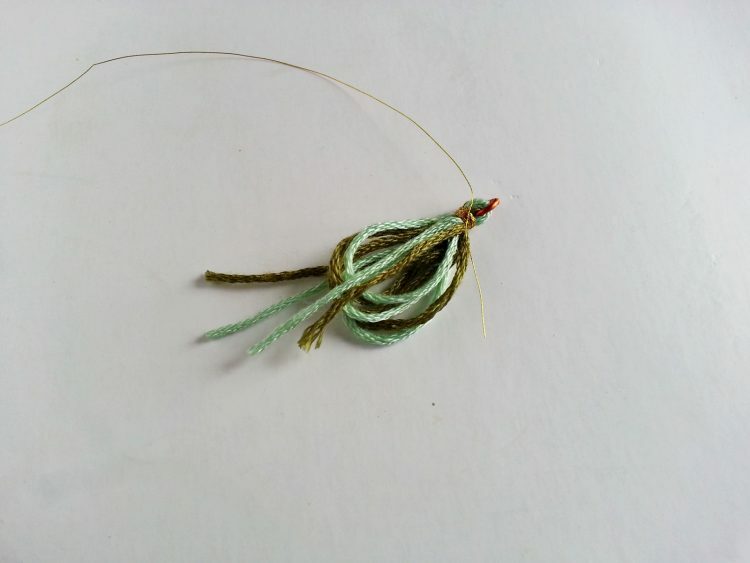 Take a small piece of golden thread, around 3-4 inches will do. Tightly wrap the golden thread right below the jump ring and tie 2 knots once done wrapping. Now that one side of the strands is secured trim the other end of the strands evenly. 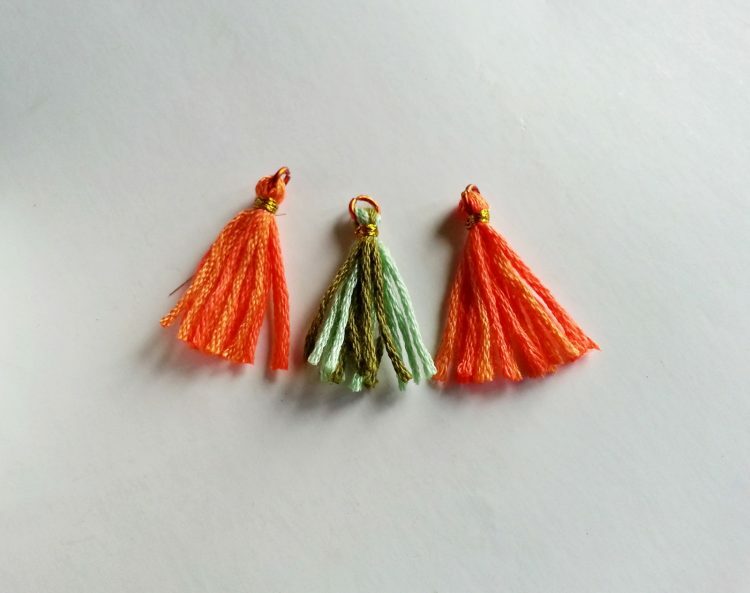 1 tassel made; 2 more to go! 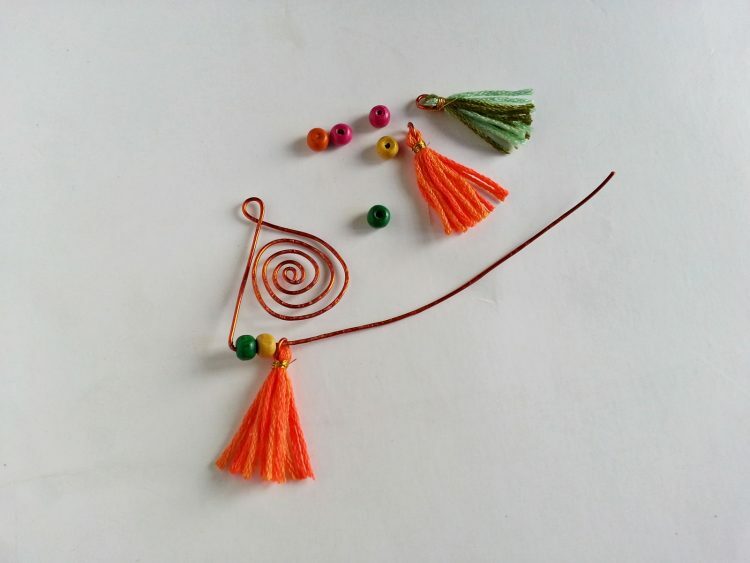 Follow the previous steps to make 2 more tassels; use different and bright colors. 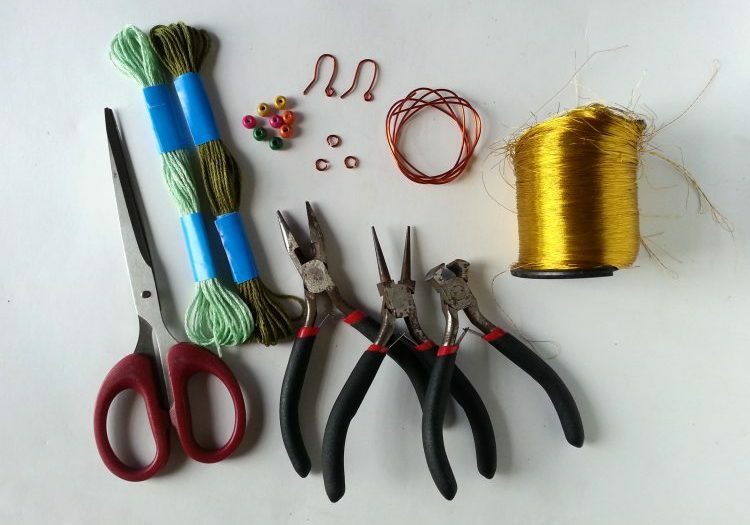 Take the craft wire and create a small loop at the end, without cutting the wire from the bundle, we’ll do that after the next step. 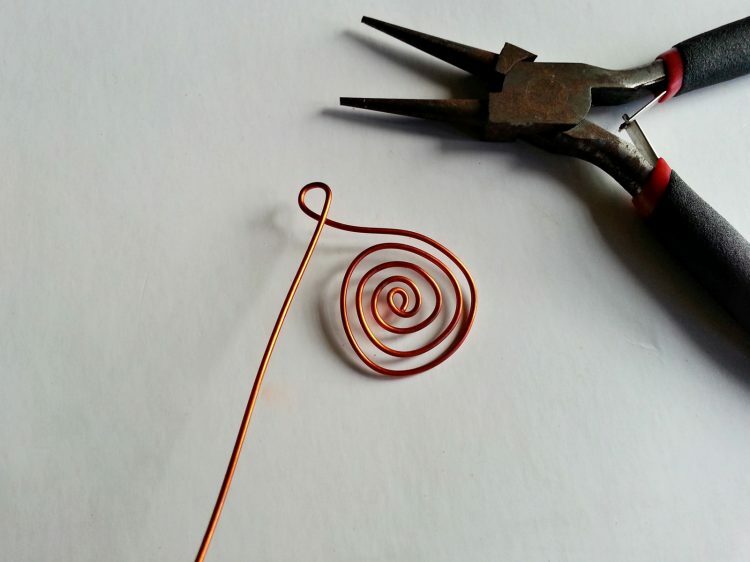 Circle the wire around the loop more than 3 times to create a twirl pattern. Visualize 3 sides around the twirl pattern – we’ll create a triangular pattern around it. 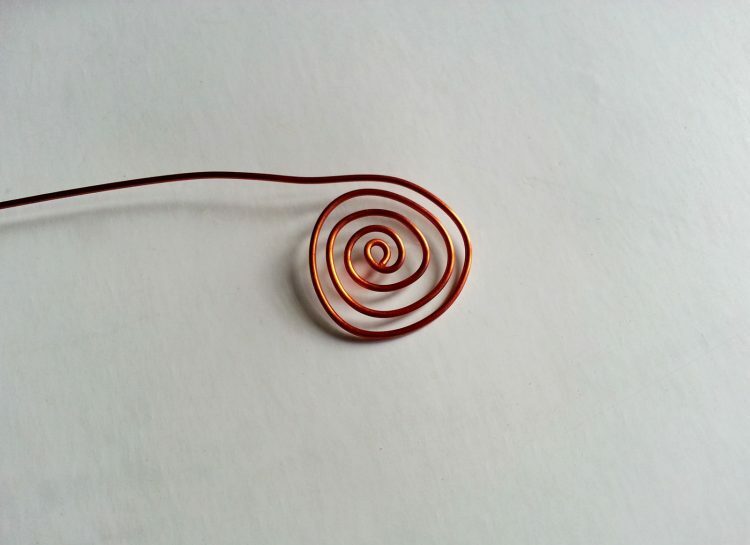 Once satisfied with the twirl pattern create another loop on the wire and bend the wire to the side of the twirl pattern. his is side 1 of the triangle. Keep the wire straight along the side of the twirl and then bend the wire again using the flat nose pliers to create second side of the triangle. Measure the wire and keep enough wire to create the 3rd side of the triangle and an extra inch. 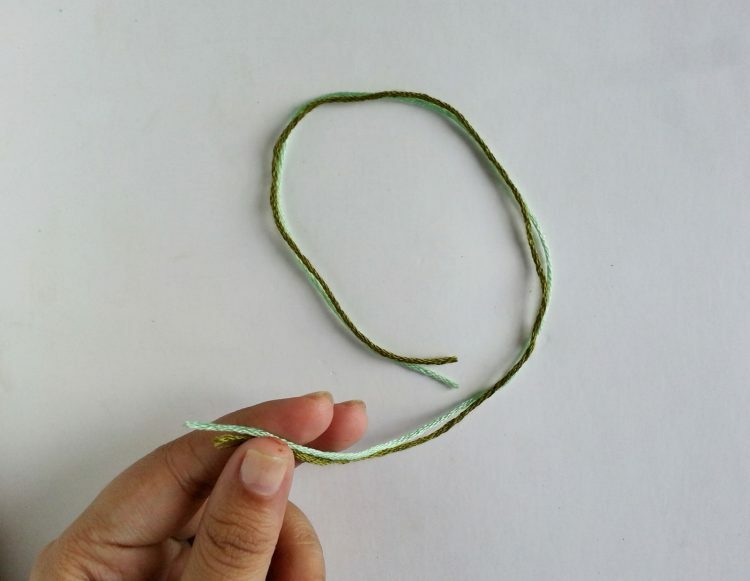 Cut off wire from the bundle. Now take the tassels and wooden beads. Insert them into the second side of the triangle one by one. Stop beading once the second side is full. 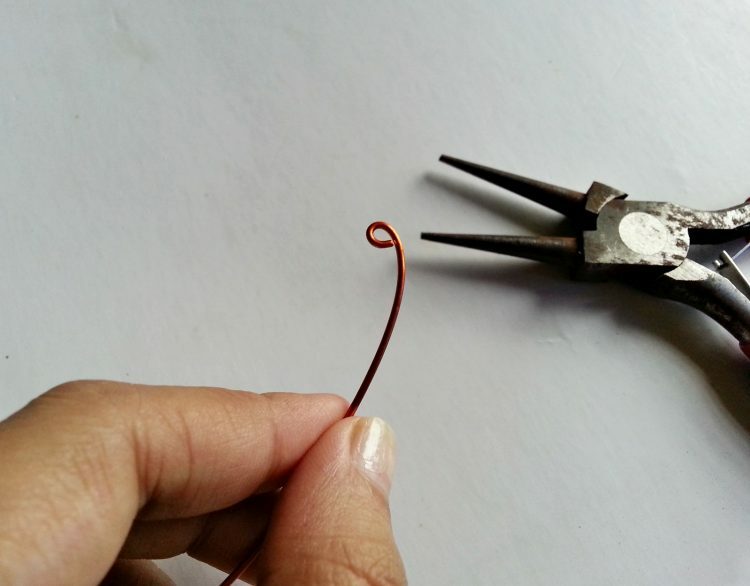 Use the flat nose pliers to bend the wire adjacent to the last bead into the wire. Bring the open end of the wire near to the loop created in step 9. Make sure all 3 sides of the triangular pattern around the loop are even. Coil the remaining wire below the loop and cut off extra wire if needed. Take a matching earring hook for the pattern we created. Attach the earring hook with the outer loop of the pattern. Similarly make the other pair and done! 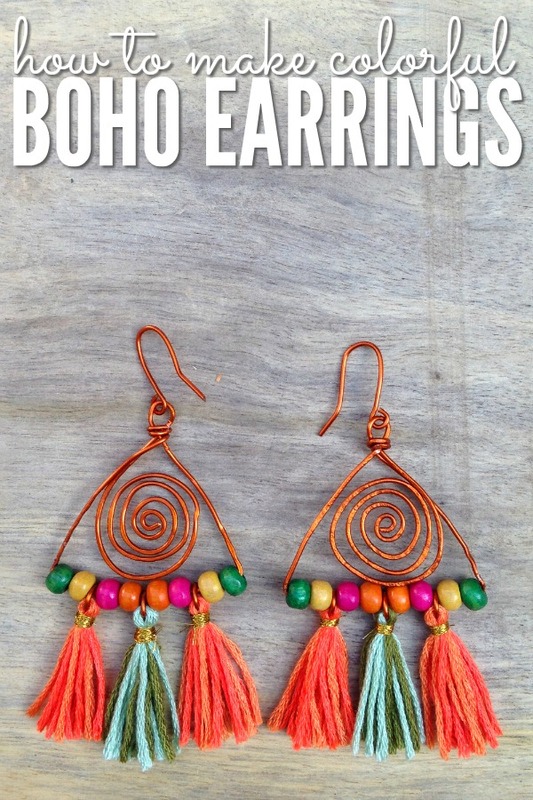 Who do you know that would love to learn how to make colorful boho earrings? Pin this post to your DIY or Jewelry board! Pinned these! How cute these will be with a colorful summer outfit!! 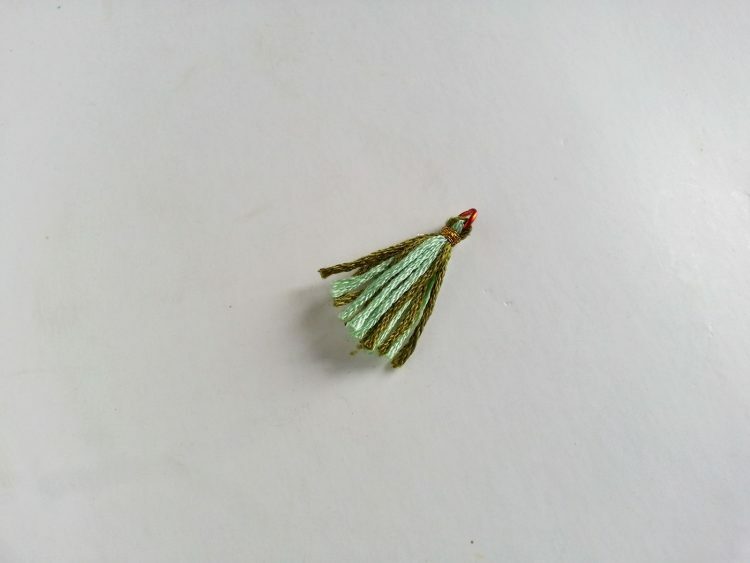 I’ve never thought to attempt my own jewelry, but I am in awe of your skills! Thanks for sharing at Merry Monday! I like the color explosion on these! What a fun design! These are super cute. I love trying easy jewelry crafts. Thanks for sharing your tutorial with us at the Inspiration Spotlight party. pinned, sharing on FB…. 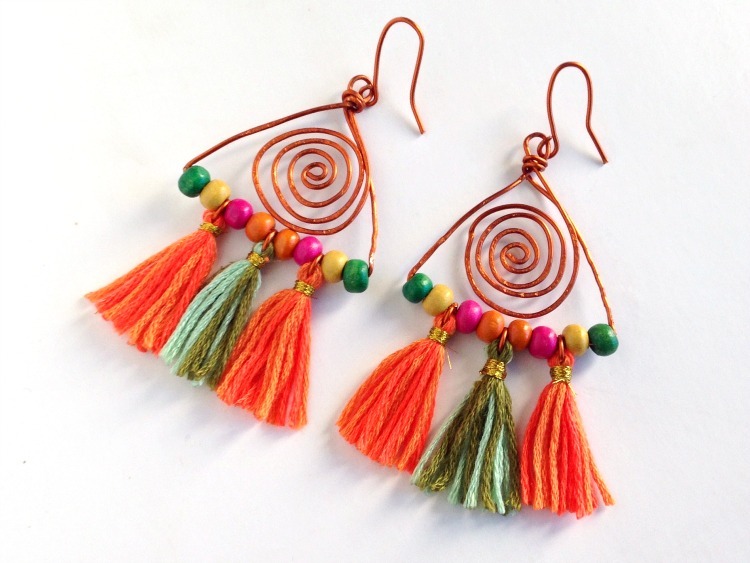 Those tassel earrings are so cool! Wow! Beautiful earrings and homemade too! 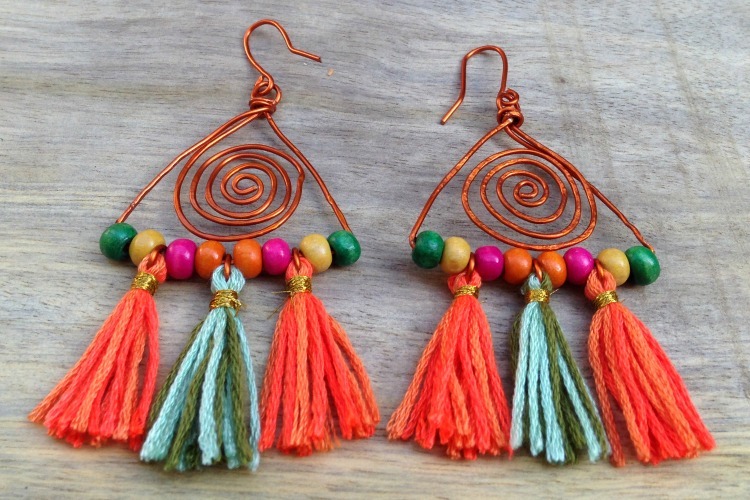 Love the colors that you made the earrings with – definitely pretty! Those are so pretty and your tutorial was done so well that I know I can follow each step and create my own! Thank you for sharing with us on Party in Your PJ’s. Pinned so I can come back to it later. These are so fun! I love boho-style jewelry, especially for the summer months. Thanks for linking up with Merry Monday! Hi Chrystal, I’ve featured your Boho earrings this week on Party in Your PJ’s on my blog, Aging Like a Fine Wine. Thank you for linking up!